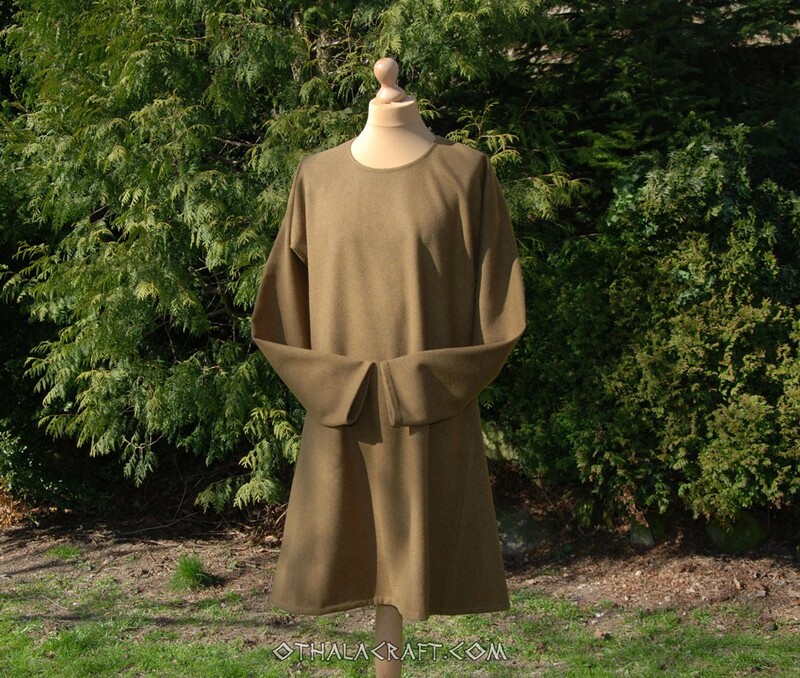 Simple T-tunic made of 98 % woolen fabric in olive green color. Shape based on a find from Birka (Sweden), 8th-9th cent. Made of two rectangles and with square-shaped wedges under the armpits and wedges on the sides. 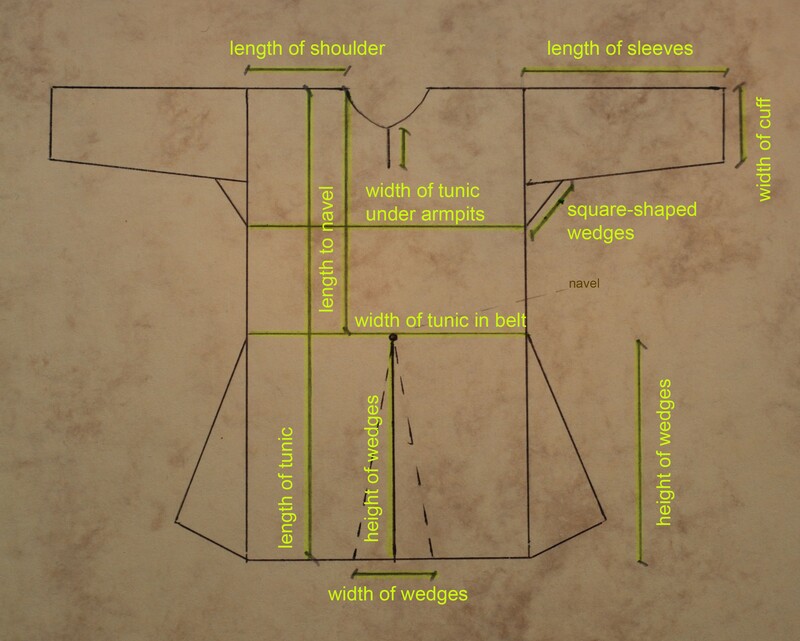 Similar patterns were used in both the Skjoldehamn and Kragelund tunics, they are characteristic for early medieval tunics. Fabric has been washed before sewing. 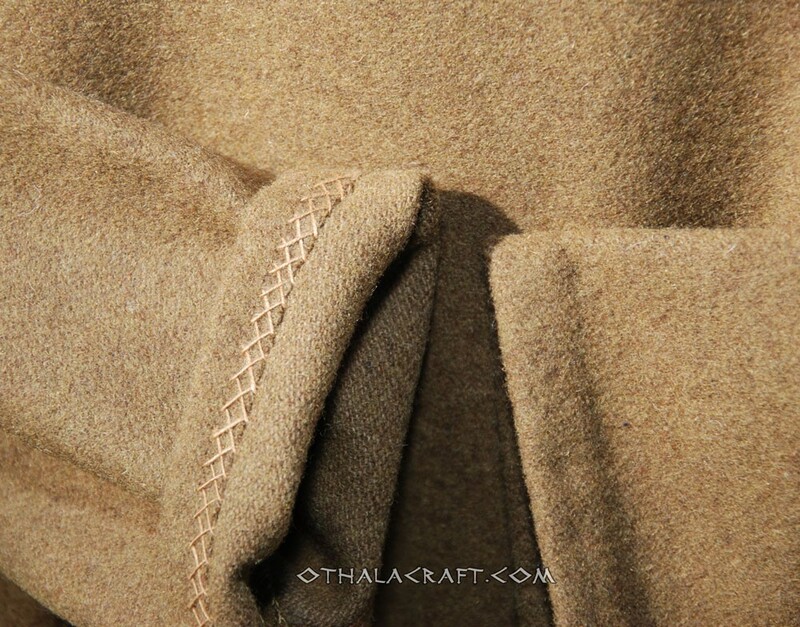 Tunic should be washed in 40 C. Inside stitches are machine, every visible stitches are made by hand with linen threads. 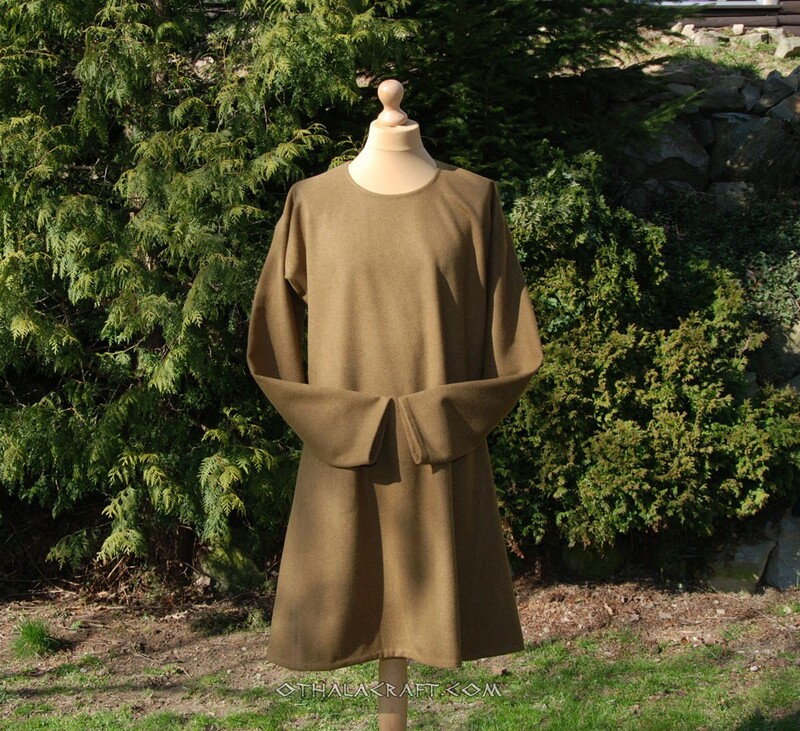 Small size: length of tunic 106 cm, width 56 cm x 2, length of sleeves 63 cm, width of sleeves 13 cm, lenght of wedges 51 cm. This kind of tunic can be also under armor tunic. 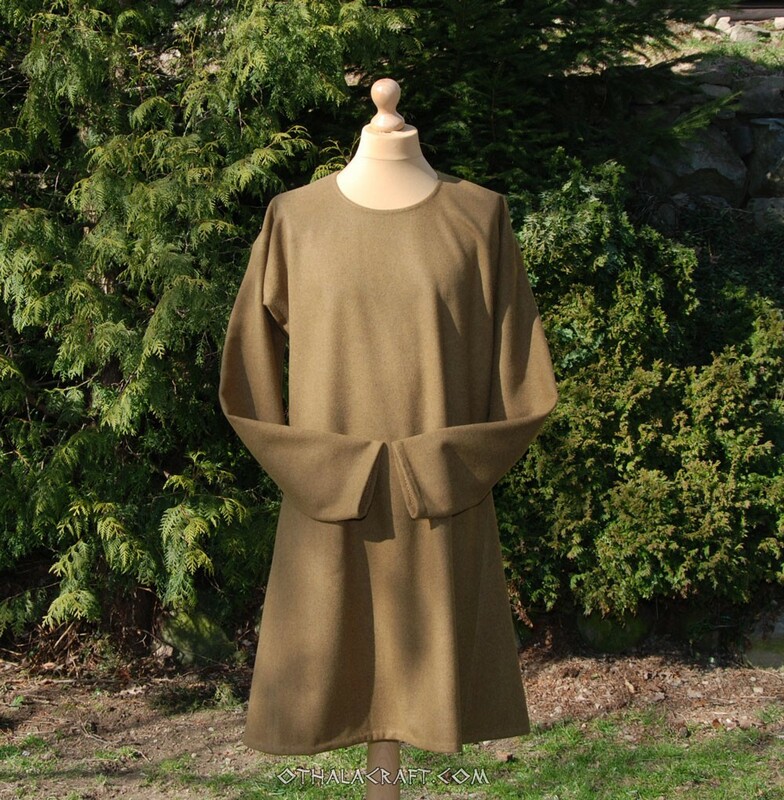 Medium size: length of tunic 106 cm, width 58 cm x 2, length of sleeves 63 cm, width of sleeves 14 cm, lenght of wedges 50 cm. This kind of tunic can be also under armor tunic. 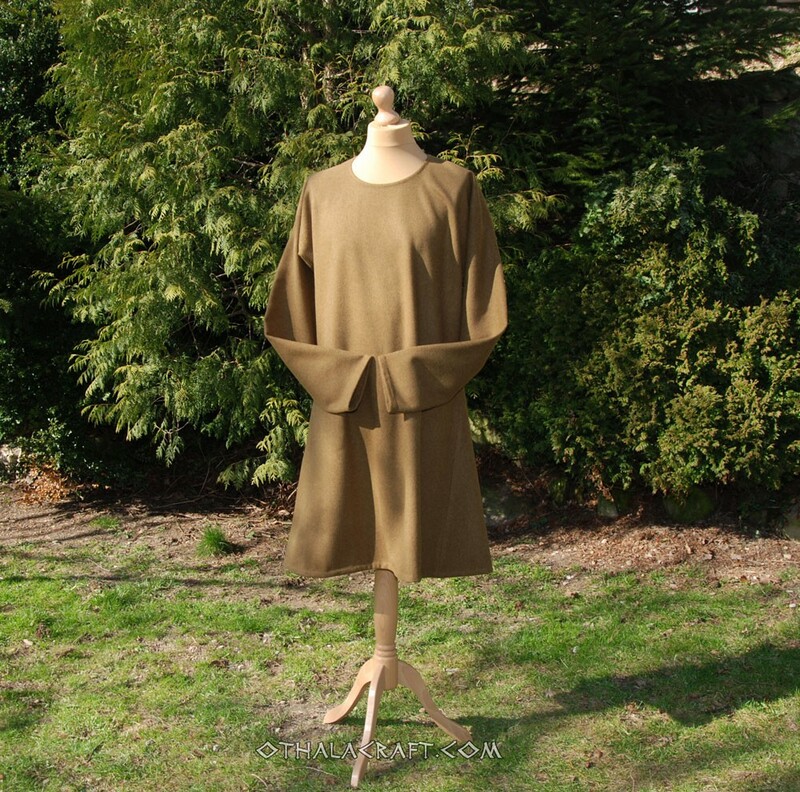 Large size: length of tunic 106 cm, width 60 cm x 2, length of sleeves 63 cm, width of sleeves 14 cm, lenght of wedges 51 cm. This kind of tunic can be also under armor tunic. 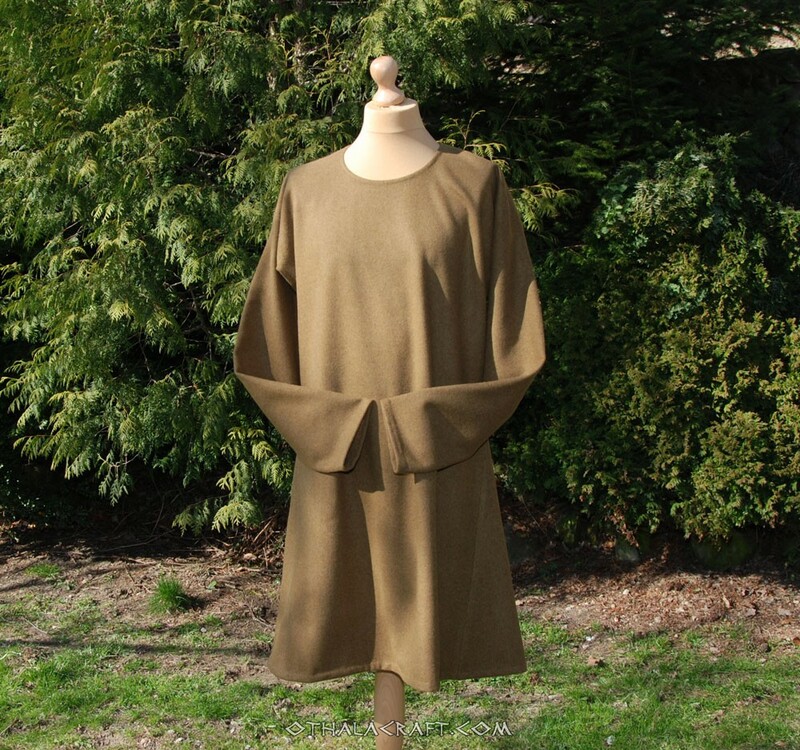 XLarge size: length of tunic 106 cm, width 62 cm x 2, length of sleeves 60 cm, width of sleeves 16 cm, length of wedges 50 cm. This kind of tunic can be also under armor tunic. XXLarge size: length of tunic 106 cm, width 64 cm x 2, length of sleeves 62 cm, width of sleeves 16 cm, length of wedges 52 cm.